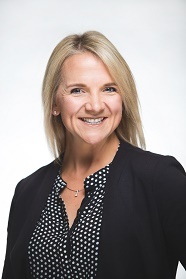 KV Dental is pleased to welcome Dr. Joy Carmichael who is relocating her practice from Saint John to the valley to join with longtime colleague Dr. Michelle Power. Dr Carmichael has over 14 years clinical experience in all aspects of family dentistry including advanced dental implant restorations, pediatrics and cosmetic dentistry. Dr. Carmichael is the president of the local Saint John Dental society as well as the elected Saint John representative on the provincial New Brunswick Dental Society board. She is originally from Newfoundland and has lived in the KV area for over 10 years with her husband Dr. Kevin MacDonald (Periodontal Dental Specialist) and their children. Dr. Carmichael's current patients are invited to call KV Dental to arrange an appointment at 847-9836. New patients welcome.